I wrote about Bluestack and how they provide a beta emulation software that allows you to run some Android software on a Windows or Mac PC. 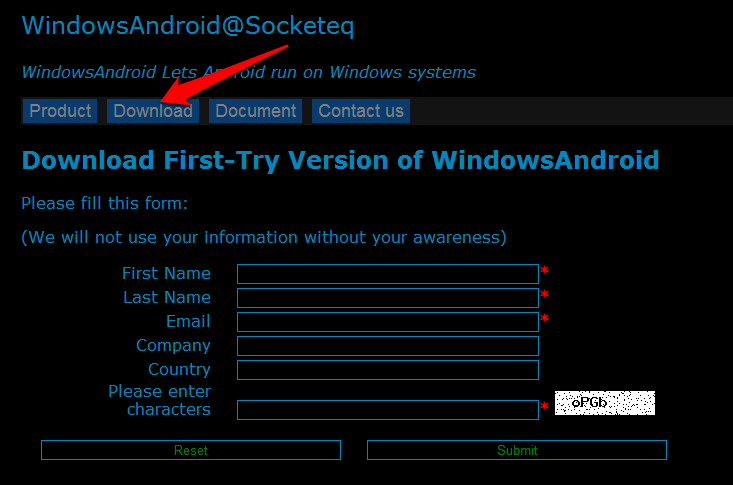 Emulation is good when you don't have any other option but now a team of Chinese developers from Socketeq has pushed their Android on Windows just a little bit further. Instead of using emulation which is slower and more limiting, they have created a system where Android runs on top of the Windows kernel (without emulation). They also claim that this approach allows you to run all Android applications including the resource intensive 3D games. The app works pretty well for a beta but still has some issues. I had some glitches with sound playback (most of the time), multi touch doesn't work and the default bundle of Google apps isn't installed. For the last point, this is likely a licensing issue and I'm sure some creative user will find a way to solve this issue.